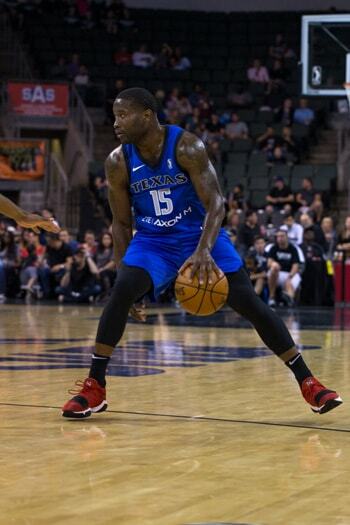 Born in Shreveport, Louisiana, Donald Sloan moved to Dallas at five years old and by all intents and purposes has been molded by the DFW metroplex. 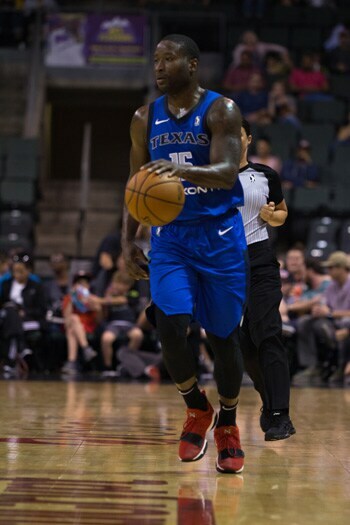 24 years after moving to the big city, he’s returned to its neighbor Frisco to play with our Texas Legends. Sloan, 29, became a member of the Legends last week after the organization used their top waiver claim spot to acquire him. He immediately entered coach Bob MacKinnon’s rotation, playing in the team’s season opener in Austin one day after joining the team. “I’m from Dallas so I was here waiting to see if any (NBA) team up top would need a serviceable guard before I made a decision to come to the G League,” says Sloan. “So I was at home and I actually joined the team on Friday morning and was able to practice for 15 minutes before we got on the bus to Austin,” he laughs. The basketball world is one gigantic spider web and through the connections game, Sloan was able to find familiarity in reconnecting with fellow point guard Justin Dentmon. The two played together in the 2011 Pan American games in Guadalajara. Sloan, who grew up a Mavericks fan, watching guards like Steve Nash and former Legends head coach Nick Van Exel perfect their craft, played high school ball at Seagoville with a name you might know: NBA all-star LaMarcus Aldridge. “Looking back at it, we knew one of us would be an NBA player and of course you know which one that was! We talk and joke about the high school teams, we’re still close with our coach who’s like a father figure to us. Whenever we see each other, when I matched up with Portland or San Antonio we’d meet up at halfcourt and reminisce. Maybe have dinner, depending on the schedule. As I said, basketball spider webs. Coming out of Seagoville where as you’d expect, he and Aldridge spearheaded quite the team (they went 93-10 over three years), Sloan was heavily recruited by schools such as Kansas, Illinois, LSU and Oklahoma but found a home with the Texas A&M Aggies. The 6 foot 3 point guard played in the G League for parts of the 2010-2011 season as well as some time in the Philippines and returned to the G League the following year before earning the call-up to the Association. 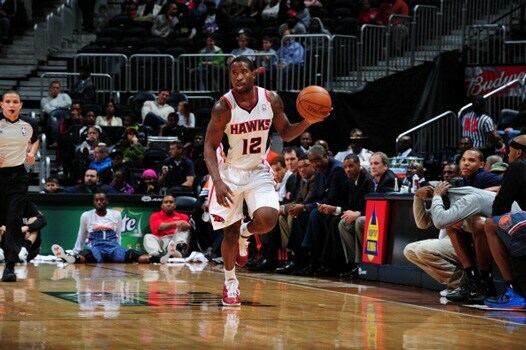 On January 11th, 2012, Sloan made three of four shots, scoring six points and adding four rebounds in his NBA debut with the Atlanta Hawks. Sloan played with the Hawks, New Orleans Hornets (now the Pelicans) and the Cleveland Cavaliers that season. From 2013 to 2015 he played with the Indiana Pacers and followed that up with a stint in Brooklyn with the Nets in the 2015-2016 season. He’s more than proven a capable NBA player and scored a career-high 31 points with the Pacers on November 5th of 2014. In January of 2016, he nearly recorded a triple-double for Brooklyn, notching 15 points, 9 rebounds and 9 assists. 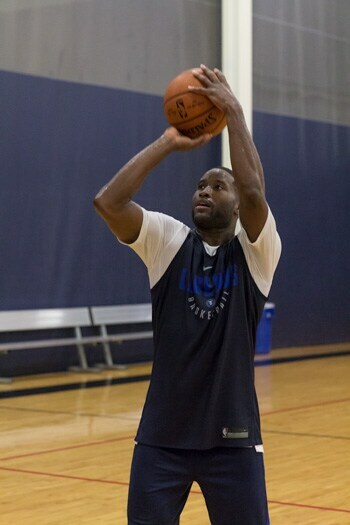 Following his stay with the Nets, he received a lucrative offer to play in China and played there with the Guangdong Southern Tigers last year, returning to the club after previously appearing with them in 2013. Sloan went to training camp this past fall with the Washington Wizards but when that fell through, he and agent Bernie Lee mapped out a new game plan.